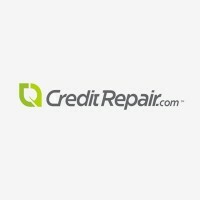 CreditRepair.com is a Seattle, Washington based company that offers consumer credit repair services to customers in the United States. The company claims to assist customers with removing negative items from their credit reports as well as helping customers better manage their credit. CreditRepair.com's credit repair process includes pulling and organizing customer credit reports, and then interacting directly with the credit companies in an effort to correct credit reporting issues identified by the individual customer. The company then communicates with the credit bureaus to confirm that changes have been made when appropriate. Through the process, customers are able to manage and monitor the service via a personal online dashboard, mobile apps, and text and email alerts. CreditRepair.com reports past customers have seen an average of 7% of the negative items removed from their credit reports per month and an average 40 point TransUnion credit score gain during four months of membership.